Can a Blood Test Help Diagnose Traumatic Brain Injury? The Food and Drug Administration (FDA) recently approved a new test to diagnose traumatic brain injuries (TBIs). This new simple blood test may be a revolutionary diagnostic tool. When a head injury results in an emergency room visit - and there are millions of these each year - the standard examination to check for a TBI calls for a 2-part test: the 15-point Glasgow Coma Scale, which assesses a patient's motor response, verbal response and eye movements, and a CT scan of the head to check for intracranial lesions. The new blood test, called a Brain Trauma Indicator, measures the levels of 2 proteins, which an injured brain releases into the blood. If the levels of these proteins are elevated, brain damage with intracranial lesions is suggested which previously had been visible only on a CT scan. Because the blood test can be done immediately with results available in a few hours, health care professionals can discern between those with and without intracranial lesions. A patient whose blood test is negative can be released to rest at home, while someone with a positive test can be sent for a CT scan to confirm the results and further assess the brain damage. Another ancillary benefit to the newer and simpler TBI blood test is the anticipated reduction in CT scans for suspected cases, potentially saving the health care system the large costs of possibly unnecessary imaging tests. TBIs, whether mild - a concussion is a mild form of TBI - or severe, can leave victims with severe and long-lasting health problems. Although recent news reports focused on the prevalence of TBIs in sports-related accidents, falls are the leading cause of TBIs. After falls, being struck against or by an object is the second leading cause of these injuries, with vehicle crashes coming in third (data from the Centers for Disease Control and Prevention CDC). A mild TBI can cause headaches as well as cognitive problems such as difficulty thinking, attention deficits, memory problems and mood swings. These injuries are often overlooked and may result in serious effects on the injured person as well as the family. 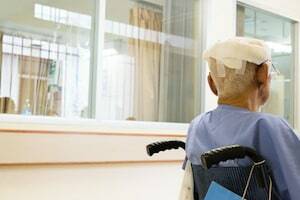 Severe brain injury can produce serious issues ranging from cognitive function impairment to comas, limited function of legs or arms, abnormal language or speech and emotional problems. Victims may face devastating and dramatic health and lifestyle issues. If you or a family member has suffered a traumatic brain injury in a car accident, slip and fall or any other type of personal injury, please contact the Law Offices of Diana Santa Maria, P.A. immediately. Our experienced attorneys will fight for the compensation you deserve. Please call us for a free consultation. Attorneys Diana Santa Maria and Laura D. Dolin, personal injury attorneys in Fort Lauderdale, will fight to secure justice for you and your family. You can reach us at (954) 434-1077 or contact us via the website.